GFH Properties, the newly formed subsidiary of Bahraini super brand GFH, approached Unisono to work on their real estate brand’s corporate profile. The new subsidiary was recently created as part of a multifaceted and phased rebrand (also undertaken by Unisono) which garnered GFH awards at both the prestigious Rebrand 100 and Transform award shows. 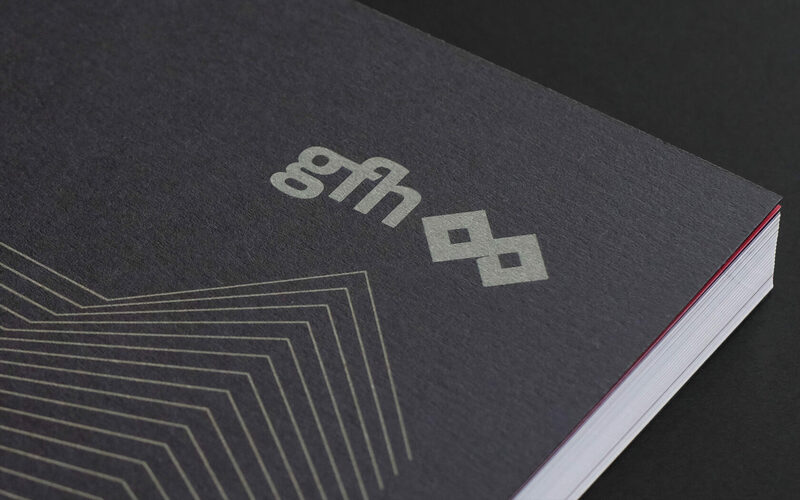 GFH Financial Group has recently restructured its operations, in doing so, it has created a series of specialist sub brands including one for real estate and one dedicated to capital investments. GFH Properties will now house all the legacy and future projects in this sector. The aesthetic of the newly formed subsidiary is distinctly modern, clean and corporate. The link to the parent brand is clearly enforced by the rubine red colour focus with differentiation applied by way of typography and a new charcoal black colour. The graphic design of the real estate brand’s corporate profile supports the company’s professional approach to development. Minimal layouts, clear headlines and strict grid systems give the books an understated confidence. 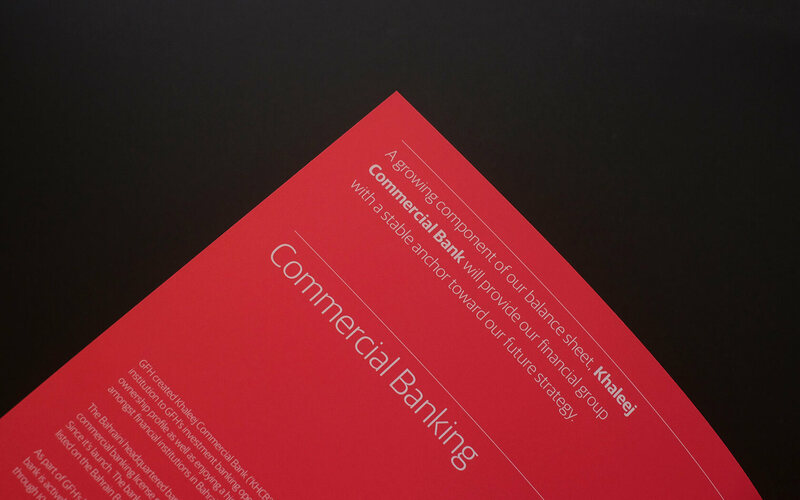 The final rendering of the books coupled highly tactile prestige papers with black and red foiled cover details for a high profile finish. The real estate brand’s corporate profile project was awarded to the agency based on our portfolio, previous profile and reporting projects the agency has undertaken for the brand – the award winning projects can be found in other posts on this site. 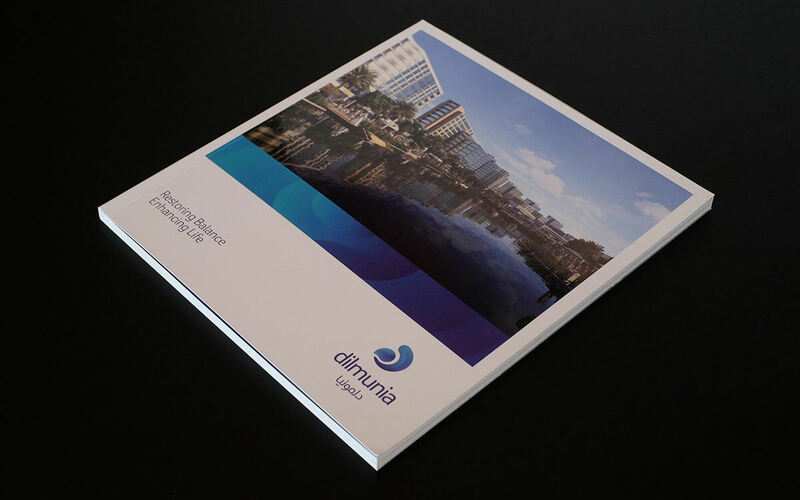 Want to work with us on your print project?